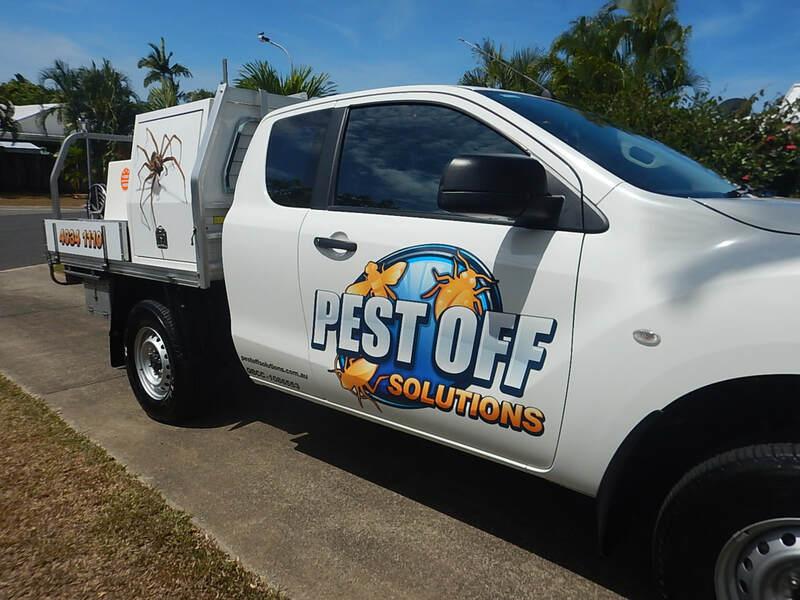 Pest Off Solutions prides itself on providing exceptional service to the Redlynch area. With a lovely tropical suburb such as Redlynch comes an abundance of insects and pests ready to invade our homes. Redlynch has a reasonably high incidence of termite attack due to the close surrounding rain forest areas and established trees and gardens around our properties. As a pest control business, we probably do more work in Redlynch than any other Cairns suburb. This is probably due to being a local Redlynch/Brinsmead based business and also because our 3 children attend Redlynch State College where we have made many good quality friends and contacts. ​Gavin Stoter has been doing the pest control for my home at Redlynch for about 10 years. As soon as I knew he had started his own business I reached for the phone straight away to get him to do my annual pest treatment. Gavin is extremely well informed about his profession and advise on pest treatment. He is reliable, courteous and great to have a yarn with. There is no one else I would recommend more highly. Pest Off offers a great rate and a very professional service. It's so important to support a local business. So well done Gavin, I will be speading the word. Fabulous and friendly service. You are a pleasure to deal with and no more ants !! Gavin was prompt, professional and did a fantastic job helping us get rid of ants and cockies. Very impressed with the service, well done! ​​Gavin has been looking after all our pest solutions on our properties for a while. Apart from a really nice guy, he looks after our neighbours too. Great Service always. Thanks so much Gavin for your awesome & professional service! We noticed a tremendous difference almost immediately with our cockroach problem & the follow up visit one month later was totally unexpected & put my mind at ease.. Highly recommend Pest Off Solutions! Highly recommend Gavin at Pest Off Solutions for his professionalism, knowledge and service. Pest Off Solutions believes in providing the best possible solution for all your pest control needs. Please feel free to contact us if you have any questions and we will be glad to help you out.